The primary objective of the organization is creation to children and young people with disabilities equal opportunities of participation in the life of society, their social adaptation and integration into society. In February 2004 for the first time in the city of Nizhny Novgorod on the basis of the municipal establishment of help to children and family “Zhuravushka” has opened Service of social adaptation of children and youth with disabilities “Steps”. 14 children and young people from 5 till 20 years, having autism, Down syndrome, learning and other combined limitations, daily visit day-stay groups of the Service “Steps”, where they are engaged in creativity, transactions, visit musical occupations, exercise room, bowling. The majority of these children and young people have never attended any educational establishment before, as they were recognized to be “unteachable”; many have never been somewhere outside their flat and the yard, communicating only with close relatives. Specially worked out comprehensive program of rehabilitation and social adaptation “Steps” enables these children and young people to receive adaptive training, to be integrated step-by-step into society, to develop skills of self-service. This program is based on the attitude to the person with disabilities as to the individual, who, except for elementary needs, has also rights to education, self-expression, communication with other people and development of the personal potential. • attraction of the societies’ attention to problems of people with disabilities, development and promotion of the community based rehabilitation programs. 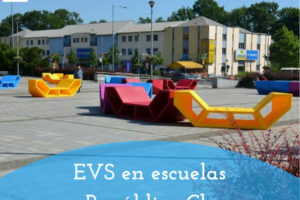 Our organization can offer a wide range of activities for EVS volunteers. First of all, they can help in the day-stay centre where children and youngsters with different disabilities stay during the day. The tasks for the volunteer are: playing with children, helping them in socially-domestic adapting, making small workshops on handicrafts. Our pedagogues are ready to teach volunteer working with our children. We have a thoroughly prepared program of activities for developing children’s intellectual and speaking abilities, and volunteer will help in carrying out different lessons and give personal assistance to children. If the volunteer can play any musical instrument, he could arrange musical hours for children. During summer holidays, our children go to the summer camp “Young Nizhegorodets” (about 60 km from the city). There’s a possibility that the volunteer will stay there with children, carrying out the same activities, but mostly outside. Nowadays we’re also launching a pilot project, within the program of which people from 18 years suffering from autism are taught to live independently and integrate into the community. Help of the volunteers might also be needed there. Volunteer together with the pedagogue would accompany our clients, helping them with cooking, walking with them, going with them to the shop etc. But the work of our organization is not just everyday working with children, we’re also always ready to develop and go further. Thus, volunteer will have the opportunity to take part in our conferences, help with fundraising and take part in numerous events we’re organizing (sport, cultural, educational, etc.). We involve volunteers into our day-to day activities and normally they’re working in one group during their whole project – depending on the age of children. First we discuss with them what age group they think is most suitable for them, and if they don’t feel like it’s ok for them, they go to the other group where it’s most comfortable for them. • readiness to learn Russian and to communicate in Russian. Starting date – 01/11/15-01/09/2016 and 01/02/2016-01/12/2016. 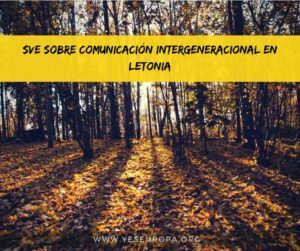 SFERA is an international youth movement supporting voluntary activities. SFERA is a non-governmental organization that helps to organize international volunteering projects in Russian Federation and send Russian volunteers to other countries. 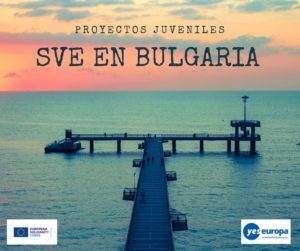 Before the project starts, we make a connection between EX-volunteer who had already been in the country of the chosen project and worked in the hosting organization and the future EVS volunteer, so that they can have a real exchange of information. Moreover, the hosting organization and contact point outside EVS will give all information about the project, so that the volunteer will get a good overview about the project, its aims and her role. When arriving in the hosting country, volunteer will attend an On-Arrival Training, with elements of intercultural learning, more about the mentality/culture/language of the country and contact points for crises. After half-time of the EVS project, the volunteer will attend the mid-term meeting; with similar elements as in the on-arrival training. The hosting organization will plan together with the volunteer those aims and what they should/would like to do in their project exactly after getting to know the organisation. There will be regularly meetings with the mentor, who will also keep an eye on the well being of the volunteer! 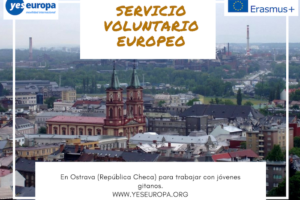 The volunteer will be supported by coordinator of the project (person from Hosting Organization), mentor (Russian volunteer) and person from SFERA (contact point outside EVS). Mentor is always motivated Russian volunteer with some knowledge about Russian culture, history, city, local community. Mentors are responsible for private life of volunteer; they help volunteer to be involved in local life (invite volunteer to local events, show good places in the city, show volunteer parts of Russian culture). 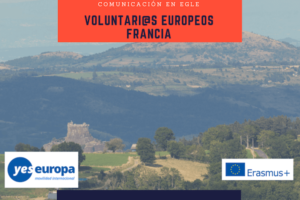 · The volunteer should be aged between 18 and 30 years old. · The projects last either 10 or 12 months. · The working hours are 25-30 hours per week (5-6 hours per day). Weekends are free, and volunteer is entitled to 2 days off each month, which can be used separately or accumulated and used as a holiday. 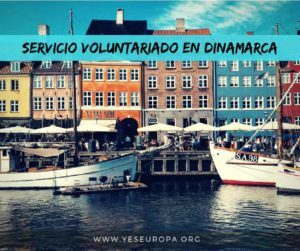 · The volunteer gets 55 euro pocket money directly to the personal account from the sending organization. · The volunteer lives either in host family or shares apartment with other international volunteers. In both cases volunteer has his/her own room and is provided with necessary kitchen equipment, bed linen, etc. 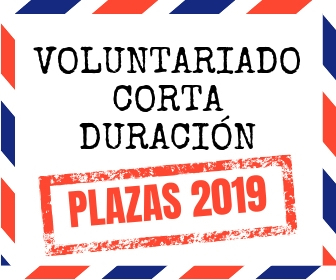 · The volunteer gets 100 euro per month for food and his/her transport costs around the city (home-work-home) are covered. · Health insurance is provided by EVS grant and volunteers have access to wide variety of medical institutions in the city in case of illness. · Volunteers are obliged to take part in on-arrival training and mid-term evaluation together with all volunteers hosted in Russia at the same period. 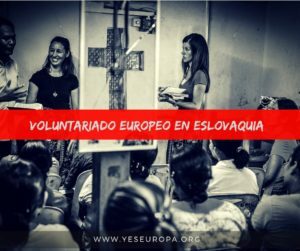 · The volunteer will have a language course, organized by hosting organization. According to Russian law, foreigners can get 1-year visa to Russia ONLY if they’re students (therefore, invited by educational institution) or employees officially hired by organization. Volunteering doesn’t fall into any of these categories therefore maximum visa we can provide is 90 days, after that volunteer has to go back to home country and apply for a new one. The trip takes 10-14 days and travel costs are covered by the grant. Time spent to obtain the visa isn’t counted as holidays. – application form (can be downloaded here) .Please mention the name of organization that you’re applying for. IMPORTANT! Last page of the application form is to be filled in by your sending organization. Without it, application will not be considered.